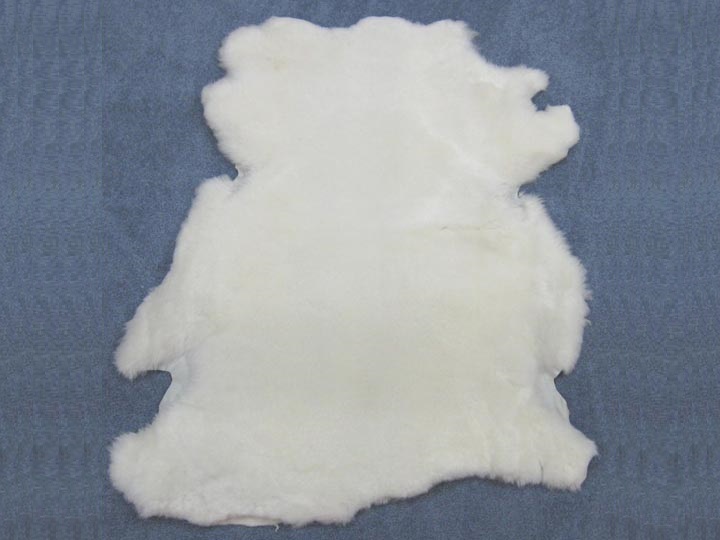 The Australian sheepskins are soft and luxurious and the skin is clean and supple. 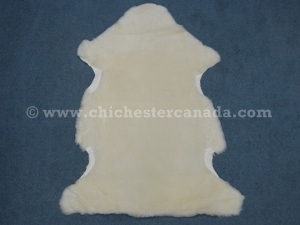 The skins average around 7-10 square feet and are ideal for lining and car seat covers. Each sheepskin is shaped differently. The 3/4" shearling is only available in brilliant white. 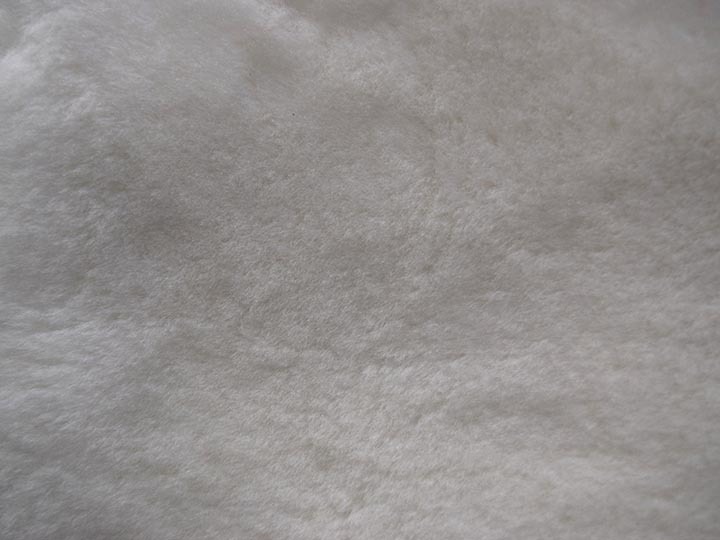 ​Alum tanned skins are softer and has a parchment color back, and they are more appropriate for garments. The 1" shearling is currently available only in white. These are chrome tanned. Chrome tanned skins have a heavier, blue back and are better for dying and being around water. Chrome is more appropriate for heavy-duty stuff. One skin measured 42" (107 cm) long and (77.5 cm) 30.5" wide down the middle and weighed 2.76 pounds (1.25 kg). Please note: We sell these by the hide and the hides are priced per square foot. Order Code Description 1-49 sq. ft. 49-99 sq. ft. 100+ sq ft.
Genus and species: Ovis aries. Ranch raised. 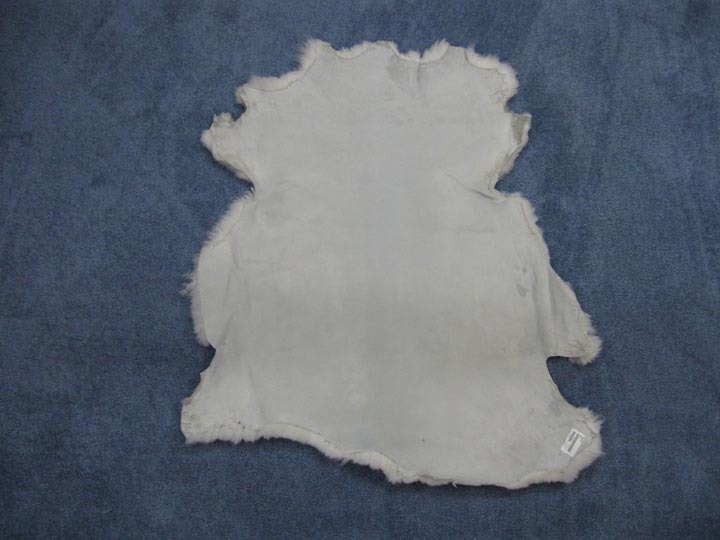 The sheepskins are a by-product of the food industry. The sheep were not killed just for their skin. The skins have been chrome-tanned. We also accept Debit cards.